BEST APARTMENTS ! BEST DEALS ! Our goal is to provide Maximum CashBack on your relocation. We charge only $200 and give you the remaining amount of rebate. Typically most apartments give half month to full month rent as relocation to our company. Step 1: Search for Apartment anywhere in Texas. 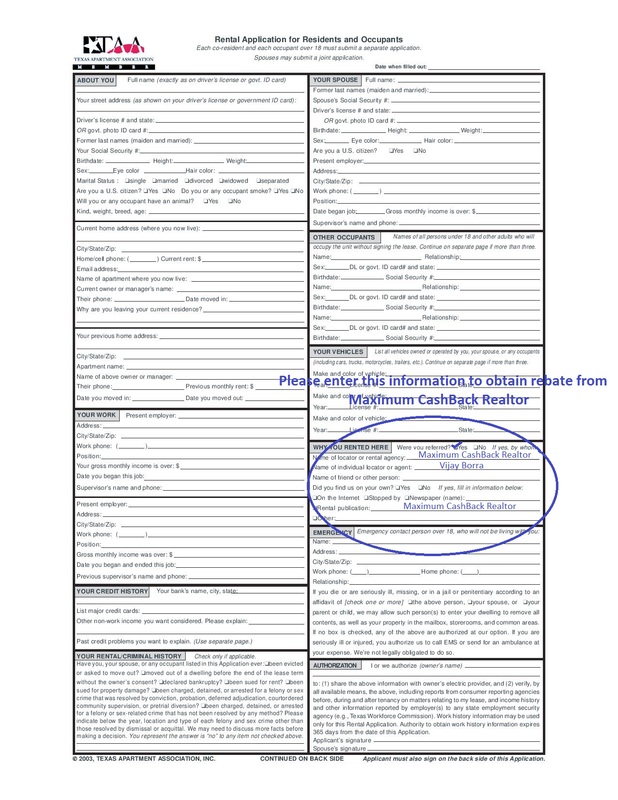 Step 2: Fill in the Rental Application for Residents and Occupants with “Maximum CashBack Realtor” As your referal. Step 3: After filling the form, email us at info@dfwapartmentfinder.com and claim your rebate. Our goal is to provide Maximum CashBack on your relocation.